Liberal Democrat John Leech lost his seat as MP for Withington last year. Now he is back – and wants to break Labour’s hold on the town hall. From the Manchester Evening News. 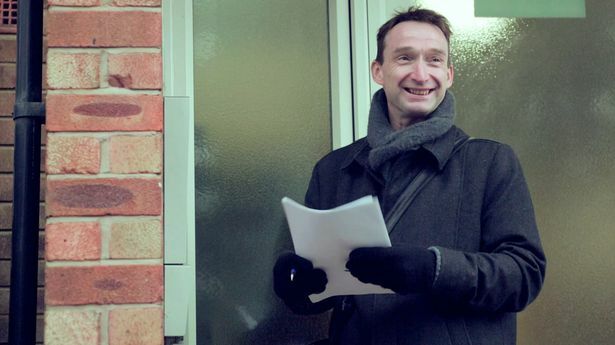 John Leech has been a thorn in Manchester Labour’s side for years. After securing a shock 2005 general election victory in Withington – ousting Labour’s Keith Bradley in the fall-out from the Iraq war following a bitter campaign – he then repeated the feat five years later, to the horror of Labour officials who considered the seat back within their grasp. Then came coalition. Last May Labour finally took its revenge, unseating the Liberal Democrat in the fierce backlash against his party’s deal with the Tories. 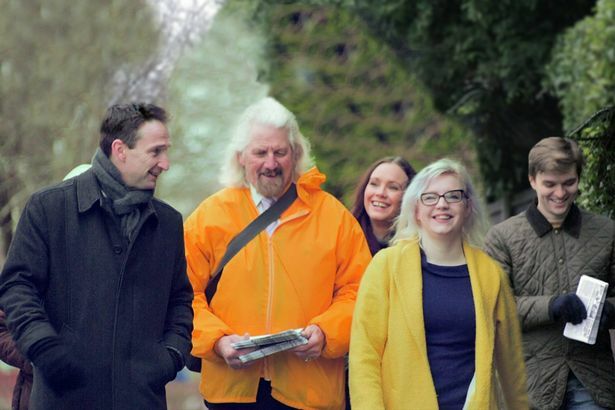 Yet rather than retreating quietly to lick his wounds, Mr Leech is now back on the doorstep, running a vociferous campaign to get back on the council in Didsbury – arguing it is time to end Labour’s 100pc grip on the town hall. “It would have been very easy last year just to say ‘Well, I’ve done 20 years’,” he says. “It’s often a thankless job. Why not let somebody else do it now and I’ll go and do something less stressful? “But I actually think I have got something to contribute. I know that there are a lot of people that feel they lack a voice and someone batting for them in the town hall and arguing their case. “It’s bad for democracy to have no opposition, frankly. “There’s also a sense of duty that I was part of a relatively large number of Liberal Democrat MPs that ended up in coalition and we led the party to a very bad election defeat. Of all Manchester’s 32 council seats, it is Didsbury West – the seat being targeted by Mr Leech – that actually worries Labour. And while party sources admit privately it would be healthier to have at least some opposition on the council, Mr Leech would not be their choice. As a result the fight is on in Didsbury, with armies of canvassers on both sides pounding the streets day after day. Mr Leech says he has knocked on more doors than any Lib Dem team in the country during these local elections. But does he really think south Manchester voters have got over their anger at the party, particularly its u-turn on tuition fees? “I don’t know,” he admits. “There are some people who won’t forgive us. There are also some people who feel very guilty about not voting for us last year. “I think most people’s consideration over the last five years was to punish the Liberal Democrats for being in coalition with the Tories, which undoubtedly was going to be unpopular in Manchester. Mr Leech has long argued that Manchester council has hidden behind the – huge – funding cuts imposed by both the last government and the current one. He says not everything can be explained away by lack of resources, highlighting road safety and the new cycle route down Wilmslow Road as examples. On the doorstep people are repeatedly raising concerns about the route’s design, he says, arguing it is too narrow for bikes to overtake each other while still being wide enough to affect other traffic. Various bus stops have also been placed in dangerous places, he adds, such as the one outside the Christie hospital and one in central Chorlton outside Turkish Delight. Moves such as that cannot be explained away by lack of funding, he adds. Neither can silly road maintenance decisions, such as the stretch on Cavendish Road in West Didsbury where workers have repainted only the bit of surface that has recently been dug up, meaning they painted the letter ‘r’ in the word ‘clear’ and part of the ‘p’ in ‘keep’, but not the rest. Then there is the issue of affordable housing. Mr Leech claims the Labour council’s housing policy is ‘extremely right wing’ – arguing affordable housing contributions from developers in areas such as Didsbury get moved to build cheap homes in other bits of the city instead, leading to ghettoisation. That is effectively driving out the area’s native population, he says. “Lots of people born and bred in Didsbury are having to move out of the area because they can’t afford to rent here,” he says. “This council wants Manchester to be a middle class city. It’s not interested in the working class people who have been living here for generations. His comments are likely to rile a Labour council that prides itself on both its housing policy and defence of the working man. And yet rents and house prices are undeniably creeping out of the reach of many in south Manchester’s increasingly affluent suburbs – as well as the city centre. He will be taking an ‘active interest’ in planning matters if he wins on May 5, he says, particularly around affordable and social housing. All this could prove a moot point, of course, if it turns out Didsbury voters have not forgiven him, or Nick Clegg. But he is cautiously optimistic. “Labour have spent the last five years getting away with people voting for them simply because people wanted to kick the Liberal Democrats,” he says.